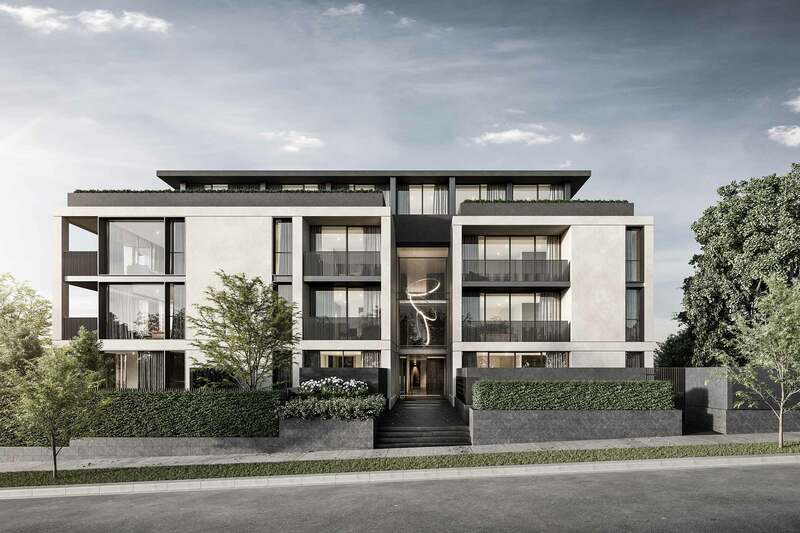 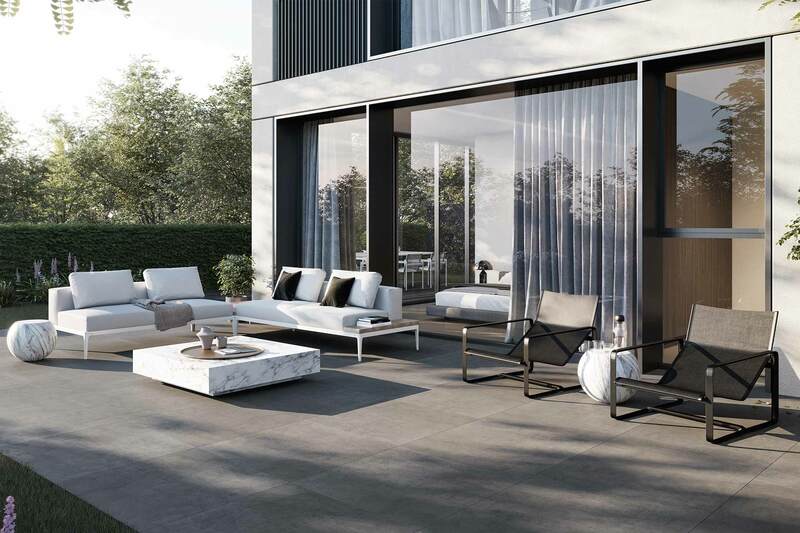 Oakdon comprises 26 generously proportioned apartments, expressed at street level with a sense of solidity and confidence that contrasts beautifully with established Plane trees that line the street. 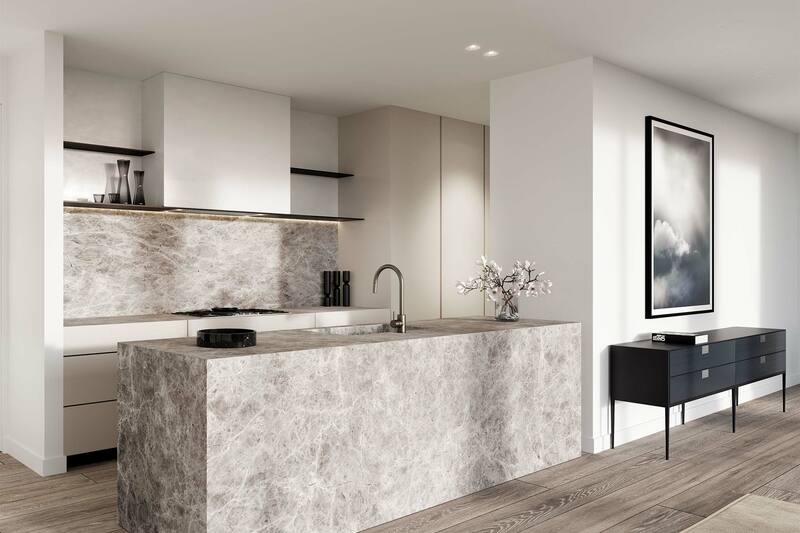 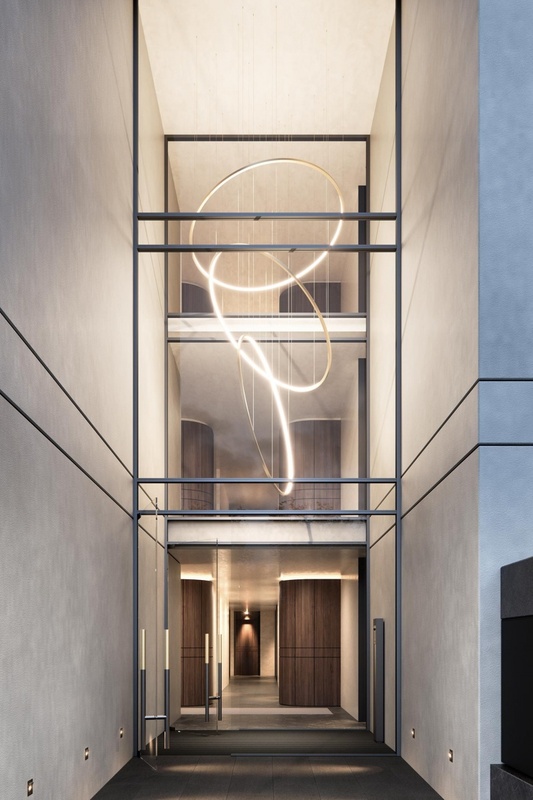 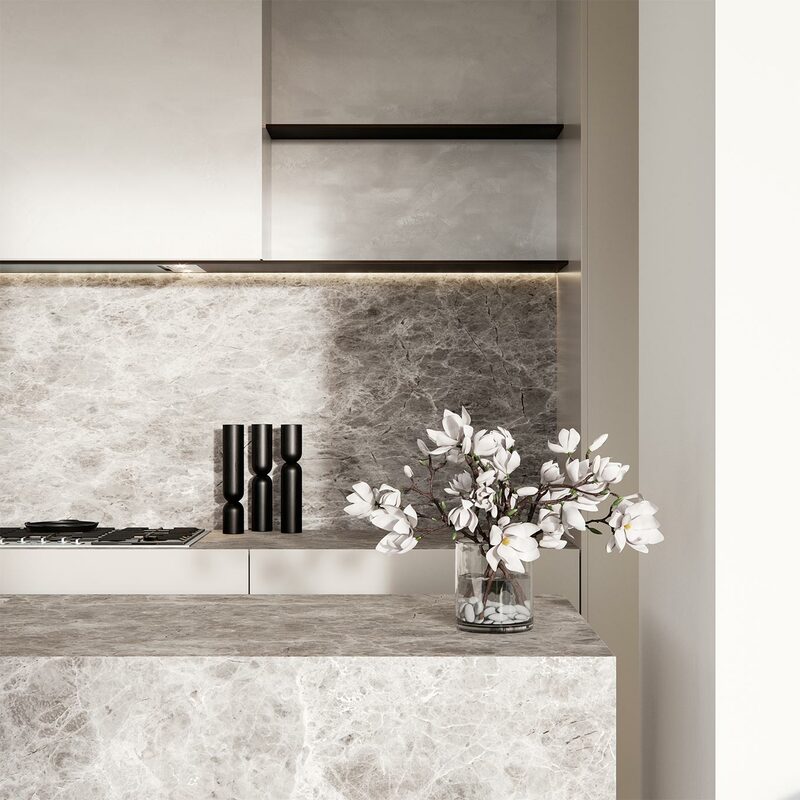 Residents are welcomed through an entrance defined by a triple-height void featuring intertwined Viabizzuno pendants from Italy, marble flooring and finely detailed timber panelling to the walls. 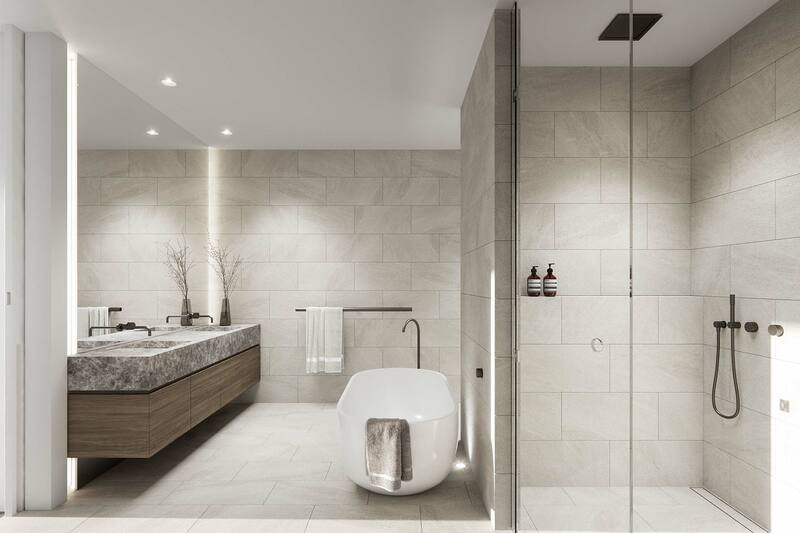 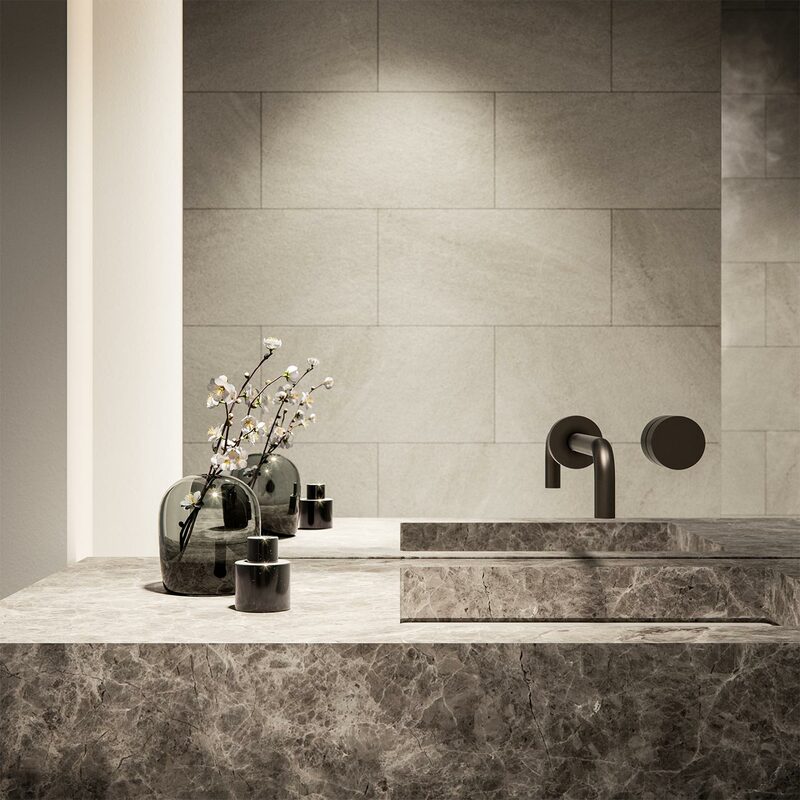 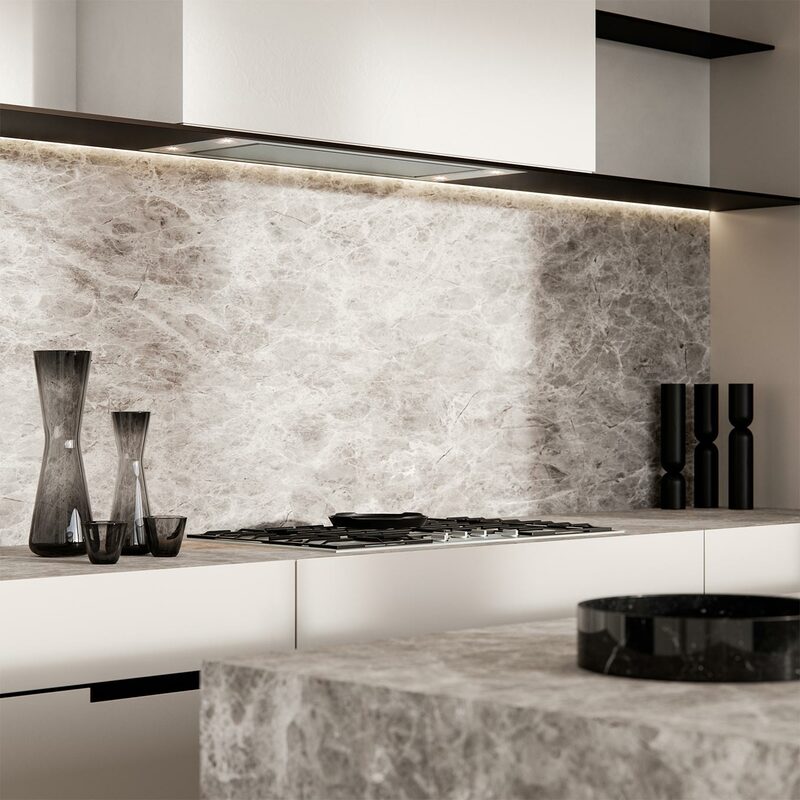 This sense of luxury continues inside with an interior palette restrained in its approach to Silverstone marble, natural oak, polished plaster and fine bronze detailing.